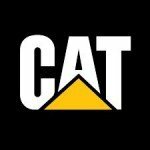 Caterpillar (CAT), is one of the stocks in my portfolio. Their annual meeting is June 11, 2014 (tomorrow). ProxyDemocracy.org had collected the votes of two funds when I checked and voted on 6/10/2014. I see they now have three. I voted with management 42% of the time. View Proxy Statement. Read Warnings below. What follows are my recommendations on how to vote the CAT proxy in order to enhance corporate governance and long-term value. CAT’s Summary Compensation Table shows CEO/Chair Douglas R. Oberhelman was the highest paid named executive officer (NEO) at about $15M in 2013. I’m using Yahoo! Finance to determine market cap ($67.9B) and Wikipedia’s rule of thumb regarding classification. CAT is a large-cap company. According to Equilar (page 6), the median CEO compensation at large-cap corporations was $9.7 million in 2012, so CAT is over that. CAT’s shares outperformed the S&P 500 substantially over the one and five periods but lagged over the two. Unvested equity awards partially or fully accelerate upon the CEO’s termination, characteristic of 90.2% of companies in the home market. Accelerated equity vesting allows executives to realize pay opportunities without necessarily having earned them through strong performance. The company pays long-term incentives to executives without requiring the company to perform above the median of its peer group, which is the case for 98.4% of companies in the S&P 500 index. Incentive plans that pay for mediocre performance undermine the linkage between pay and performance. The CEO’s annual incentives did not rise or fall in line with annual financial performance, reflecting a potential misalignment in the short-term incentive design. Because pay was above median and because of the problems noted by GMIAnalyst, I voted against the pay package, stock plan, bonus plan and members of the compensation committee: Miles D. White, David L. Calhoun, and Jesse J. Greene, Jr. The company has failed to split the roles of CEO and chairman, which may compromise even further the board’s independence from current management interests. Split CEO and chairman roles are characteristic of 46.1% of companies in the S&P 500. Despite Douglas R. Oberhelman serving as both chairman and CEO, the board has not designated an independent lead director. When the roles of CEO and chairman are combined, all the authority is vested in one individual. As a result, there is no counterbalance to management. This leads to a board that is unable to say no to the CEO, especially in the area of pay. Because of these poor practice issues, especially the fact they haven’t even named a lead director, I voted against the members of the public policy and governance committee: Edward B. Rust, Jr., Juan Gallardo, Jon M. Huntsman, Jr., and Susan C. Schwab. Huntsman sits on four boards. Since I think that is too many to devote necessary attention to each, I would have voted against him for that reason as well. The GMIAnalyst report flagged revenue recognition, accounting investigations and restatements as issues. Because of these issues I voted against William A. Osborn, chair of the Audit Committee, and was tempted to vote against all members of the Committee and the auditor but did not. Review and Amend Human Rights Policies. CAT fails to disclose the proponent. I voted in favor of this proposal, which seems well framed. Sales to Sudan. CAT fails to disclose the proponent. I voted in favor because it appears CAT is using non-US subsidiaries to get around sanctions. Cumulative Voting. CAT fails to disclose the proponent. I favor cumulative voting as a way of insuring that minority voices are heard. This would be especially critical if CAT had proxy voting, which it does not. A proposal for inclusion in the 2015 proxy will be included only if received at the office of the Corporate Secretary on or before January 1, 2015. Caterpillar Inc. c/o Corporate Secretary at 100 NE Adams Street, Peoria, Illinois 61629. From Yahoo! Finance: Caterpillar Inc.’s ISS Governance QuickScore as of Jun 1, 2014 is 3. The pillar scores are Audit: 1; Board: 4; Shareholder Rights: 4; Compensation: 3. Brought to you by Institutional Shareholder Services (ISS). Scores range from “1” (low governance risk) to “10” (higher governance risk). Each of the pillar scores for Audit, Board, Shareholder Rights and Compensation, are based on specific company disclosures.